The analysis of Total Organic Carbon (TOC) in seawater can create many challenges for laboratories, not only because of the low TOC concentration, but also the salty sample matrix might be problematic for TOC analyzers.The analysis of TOC in saline sample matrices reduces the life-time of the quartz combustion tube, because sodium ions in seawater react with the quartz of the combustion tube of the TOC analyzer. 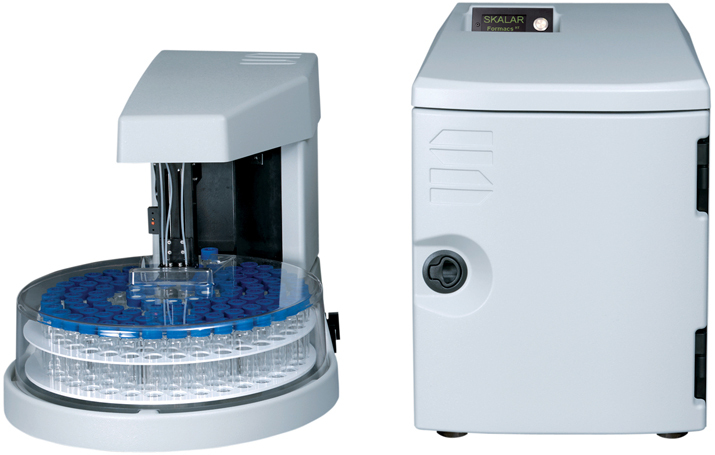 An intensive rinse cycle is included in the Formacsseries analyzer after every analysis with saline samples to lengthen the life cycle of the quartz combustion tube. Skalar has developed an additional solution to eliminate the degradation of the quartz tube caused by salt. A special seawater kit for analyzing salty matrices with the Formacsseries analyzer has been developed. This kit includes a ceramic combustion tube, which doesn’t react with sodium ions in seawater. The ceramic combustion tube can also be integrated in the FormacsHT-I analyzer or can be used in the FormacsHT-TN TOC/TN combination with NN reactor. Formacsseries analyzer is perfect for determination of low level concentrations TOC in seawater. The TOC analyzer provides high quality, accurate and highly reproducible results. For more information about seawater analysis with the Formacsseries analyzer or other questions please feel free to contact Skalar.